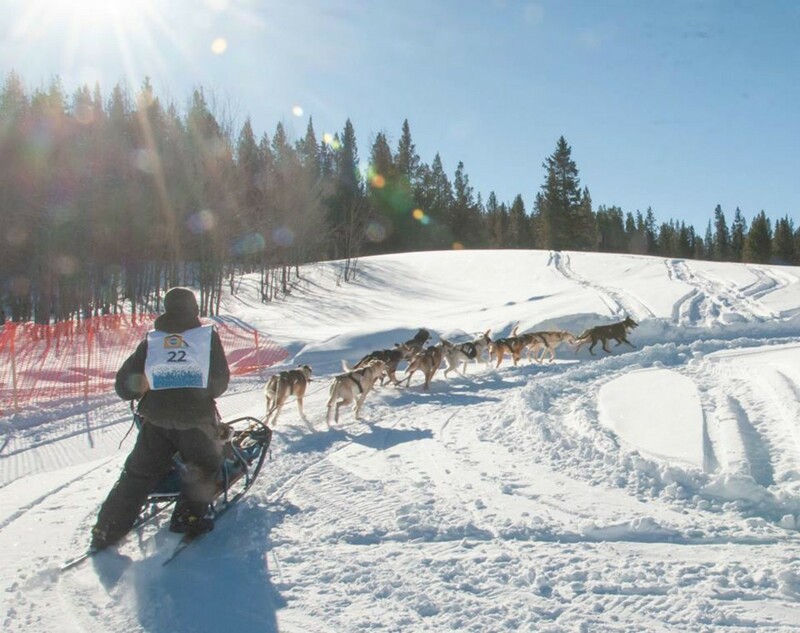 Today mushers ran Day 3 of the race in Kemmerer, Wyoming. 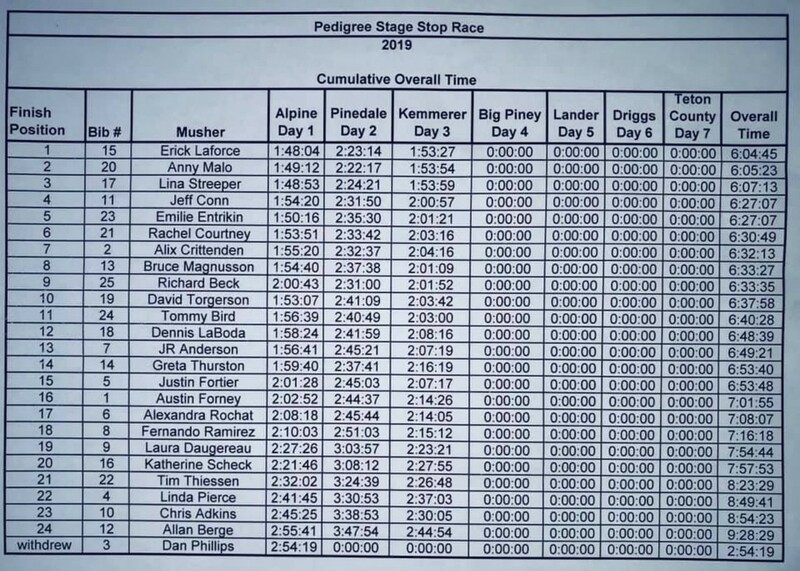 Today’s race was 30 miles for the 10 dog-racers. We traveled about 45 minutes from the town of Kemmerer to get to the Hams Fork Trail head. Today we were joined by 120 students from Afton Elementary. These students traveled two and a half hours to join us in Kemmerer. They enjoyed a presentation last Friday from Linda Pierce. 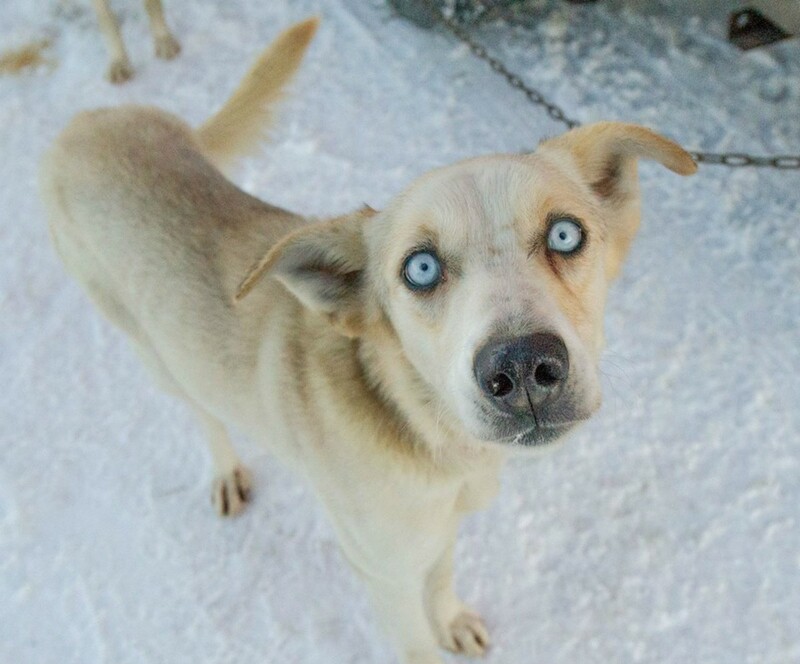 They told me all about their favorite dog, Boy Dog. They enjoyed some sledding time, a tour of the staging area, and some hot chocolate. 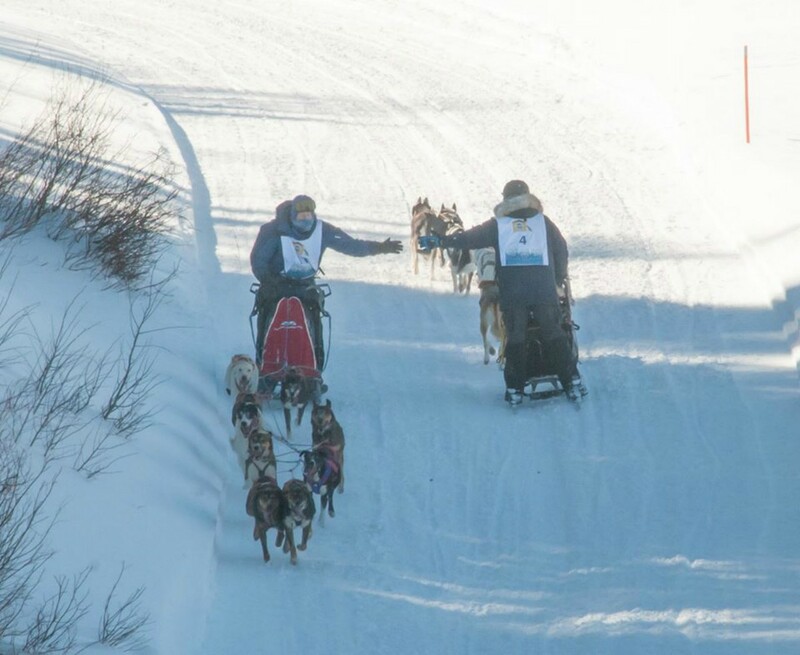 They cheered each musher across the finish line. Some mushers even told me they heard the students cheering from the bottom of the hill! Go Afton Elementary!! 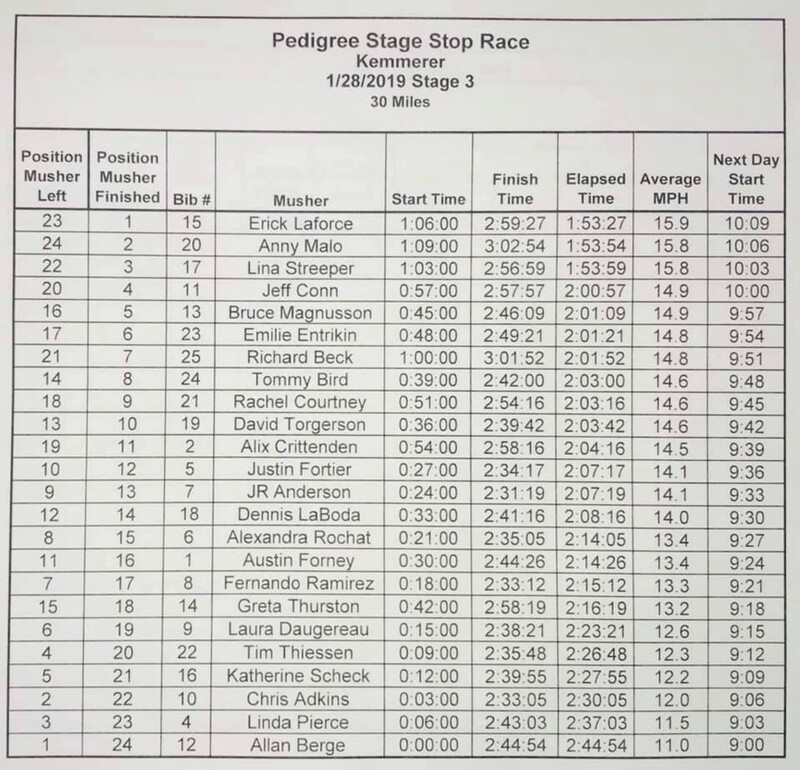 The Kemmerer race is always exciting because you are able to see the racers come across the trail about 20 minutes before they cross the finish line. They have a large hill to climb before they cross the finish line and many racers had to run with their sleds as they completed the race. The winner of today’s race was Erick Laforce. Erick will wear the yellow bib in tomorrow’s race. Check back tomorrow to read all about our fun at the Big Piney/Marbleton race.